The first concern of every athlete or parent should be protection of the head. When safety measures fail, the injury doesn’t end with the insult. Understanding a patient’s difficulty with balance and unique healing process is vital to full recovery. Every injury is different, because every person is different. Focused assessment with our concussion specialist is crucial. It is never too late to address the injury! Our Pacific Springs location is currently running Pre- and Post-Concussion screening. 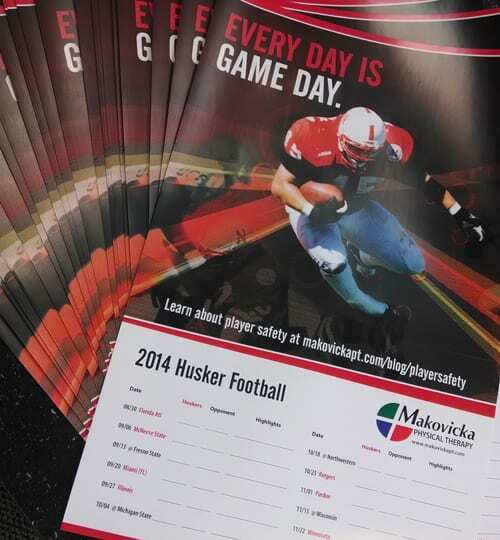 Be sure to grab a Husker schedule poster.